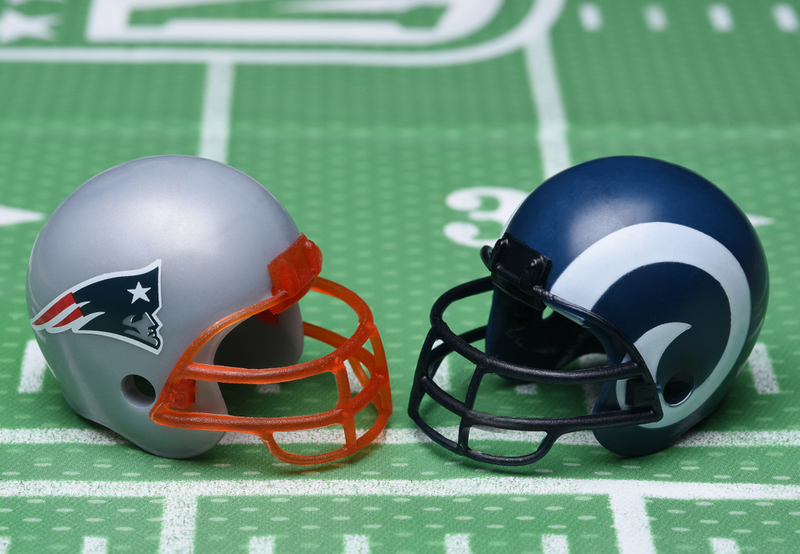 In honor of the two teams playing in the biggest sporting event in America we are breaking down the two markets of the country represented in the Super Bowl, Boston and Los Angeles. These two markets, like the teams and regions represented are very different as illustrated by the Headhaul Index in this week’s chart. Los Angeles currently has the highest HAUL value in the country at 178.03 while Boston has the 8th lowest number at -38.3. The Headhaul Index measures the relationship between outbound and inbound loads by subtracting the inbound tender volume index value from the outbound tender volume index value. A positive value indicates there are more outbound than inbound loads – a headhaul market. When the HAUL value is negative, the market has more inbound than outbound – a backhaul market. Why is this important? For a carrier, backhaul markets are costly to deliver into. One of the biggest OR killers for an asset-based carrier is empty miles or low utilization. The average cost of operating a truck is roughly $55-$75 per hour or $0.90-1.10 per mile. These numbers can have a large variance depending on the operation. Local and dedicated drivers cost less than teams travelling across the country or a low mileage run in heavy traffic will inflate the cost per mile. Regardless, a driver pulling an empty trailer or bobtailing is all expense and no revenue. Based on the Headhaul index above it costs more for a carrier to go into the Boston market versus going into the L.A. market. This is illustrated by the spot market rate for truckloads moving between the two cities. The current spot market rate according to DAT’s Rateview is approximately $1.55 going from L.A. to Boston, and the return rate is $1.26. For most involved in the trucking industry this should not come as a shock that the New England market is less desirable for a carrier to enter than the southern Californian market at this point. What is important to note is that each of these markets become more desirable and less desirable throughout the year. The L.A. market HAUL value got as low as 17.2 in mid-July, during a period when outbound volume declined, and inbound volumes surged. Currently the L.A. HAUL value is hovering around all-time highs due to the heavy amount of freight that moved into the market from overseas this past year. The Boston market HAUL value got as high as -21.3 last March and bottomed out around mid-October. Currently, the Boston HAUL value is plummeting, having dropped from -31.13 to -41.01 in the past several days due to a rapidly declining amount of outbound volume, quite the contrast to the L.A. market. The discrepancy between outbound and inbound loads is the earliest warning sign that a market will have a change of capacity. It takes time for everyone to figure out capacity has tightened or loosened and the Headhaul Index acts as an early indicator. The L.A. and Boston markets have been consummate examples of headhaul and backhaul markets this past year. So, the big question is, can the HAUL values of these markets predict the outcome of the Super Bowl? Absolutely not, that would be ridiculous, but also incredible. But no, there is no correlation between professional football performance and trucking capacity movements. Enjoy the game! (SONAR: HAUL.BOS, HAUL.LAX) Headhaul Index - Boston and Los Angeles - The Headhaul Index is made by subtracting the Inbound Tender Volume Index value from the Outbound Tender Volume Index value. A negative value indicates the market has more capacity than it needs while a positive value indicates there are not enough trucks to cover the demand. The FreightWaves Chart of the Week is a chart selection from SONAR that provides an interesting data point to describe the state of the freight markets. A chart is chosen from thousands of potential charts on SONAR to help participants visualize the freight market in real-time. Each week the Sultan of SONAR will post a chart, along with commentary live on the front-page. After that, the Chart of the Week will be archived on FreightWaves.com for future reference. SONAR aggregates data from hundreds of sources, presenting the data in charts and maps and providing commentary on what freight market experts want to know about the industry- in real time. The FreightWaves data-science and product teams are releasing new data-sets each week and enhancing the client experience. To find out more about SONAR go here or to setup a demo click here.